Finland — Bailey Bram scored the eventual winner near the midway point of the second period as Canada’s national women’s team topped Finland 4-1 on Sunday in a tune-up match ahead of the Four Nations Cup. Meghan Agosta, Laura Fortino and Marie-Philip Poulin also scored for Canada. Emerance Maschmeyer and Genevieve Lacasse shared goaltending duties for the win. Maschmeyer turned aside 7-of-8 shots, while Lacasse made nine saves. Jenni Hiirikoski responded for Finland in the first period. Goaltender Noora Raty stopped 19 shots. Bram created a turnover in the Finnish zone, then went five-hole for the unassisted goal at the 13:26 mark of the second to give Canada a 2-1 lead. Canada outshot Finland 23-17 overall. Sunday’s game was Canada’s only pre-competition contest. 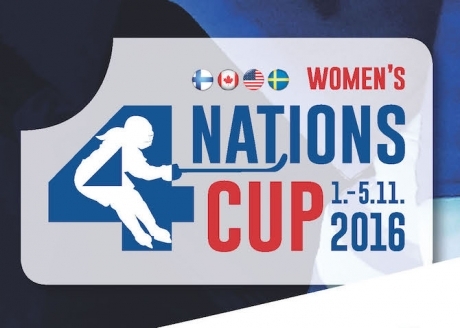 It faces Finland once again on Tuesday on the opening day of the Four Nations Cup. Canada then meets Sweden on Nov. 2 and the United States on Nov. 4. The medal games will be played on Nov. 5. Canada took silver last year. It’s won the gold medal 14 times in 20 tournaments, overall, mostly recently in 2014.